Porsche is known as one of the most respected automobile brands in the industry. The car has an amazing history dating back to 1931 when Ferdinand Porsche started the automotive engineering company known as “Porsche Konstruktionsburo für Motorenfahrzeug und Wasserfahrzeugbau”. As a small company, the new outfit focussed primarily on developing small cars for Zündapp, NSU and Wanderer. The company’s presence received a major boost when Porsche designed some components for Mercedes – Benz grand Prix racing cars. A lot of achievements and success began being realised with the building of Auto Union Grand Prix racing cars that were later known as Volkswagen Beetles. Ferdinand’s goal was to build a sustainable brand of sports cars using his name. The journey officially began in 1936 when a racing car prototype 60K10 was launched and completed 3 years later in 1939. Porsche was not spared from the effects of the 2ndworld war which caused all ongoing projects to be suspended indefinitely to monitor the political climate. Porsche relocated operations to an old sawmill in Gmünd, Austria. After the end of the 2nd world war, collapsed operations and projects had to be re-launched again. Old Porsche relocated some of its operations to Stuttgart, Germany. Ferdinand, who had been arrested, was not convicted as he was found innocent and set free in 1947. 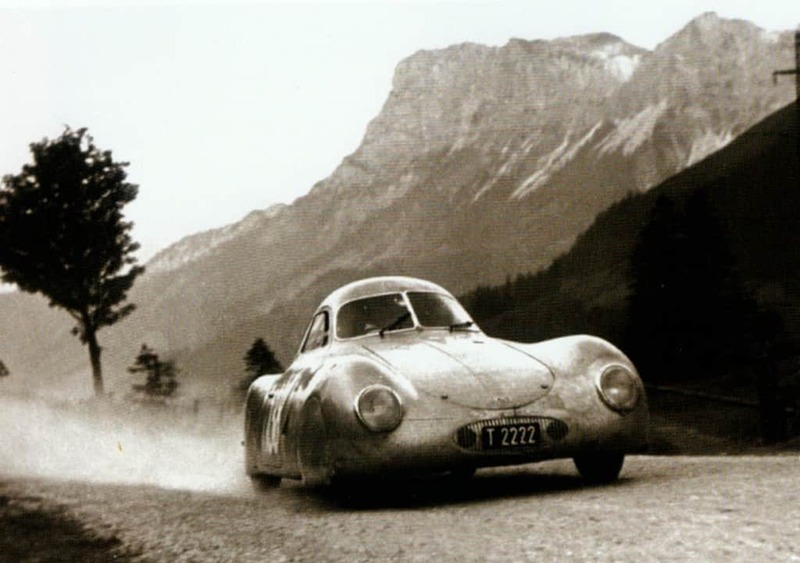 In 1948, Ferry Porsche, Ferdinand’s son and Prof. Van Eberhost used the old sawmill in Gmünd to work on a new project called 356 whose result was the first ever prototype, Porsche 356-001 model. The Porsche 356-001 model was built using a chassis with a tubular framework supported by aluminium body panels. A good number of Volkswagen components were included in the manufacturer. An audit that facilitates the formation of a new strategy was carried out where the engine was relocated to the rear axle to pave the way for larger interior space. Erwin Komenda played a key role in designing Porsche 356 popularly known as the Gmünd model. The development and manufacture took place in the old Gmünd sawmill. Initially, there were no plans for large-scale production and therefore the Gmünd facility quickly ran out of space when plans to roll out more elaborate operations were initiated. In 1948, the company was forced to hire out an extra space adjacent to the Stuttgart, Germany facility. The extra facility known as Reutter primarily concerned with bodywork built the convertible body of Porsche 356. Porsche managed to achieve major milestones in the following years when key models with unique features were introduced into the market. 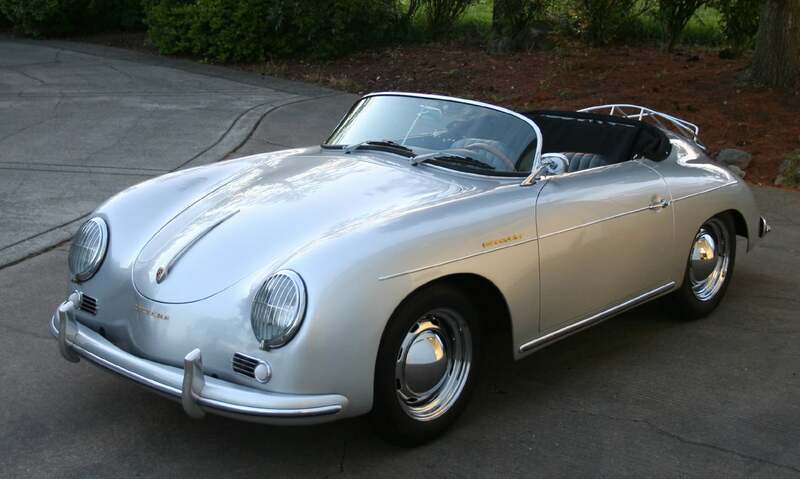 In 1955-1965, a new Carrera 365 model came into the market equipped with overhead camshafts. Within the same period, 1954-1964, a number of convertible models such as American Roadster, the Speedster and Convertible D hit the market. 1963 witnessed the introduction of Porsche 901 which was the successor of the 356 model. The model later had to be renamed to 911 in 1964 to avoid a legal tussle as Peugeot had already possessed the legal rights to own car models with a “0” in the middle. It’s worth noting that the 901 model made an appearance in the Frankfurter Car Show. The 911 model was perhaps one of the biggest projects for Porsche in terms of sales and high revenue margins. The model became very popular as it was not only beautiful but had an impeccable high-performance capability. In 1993, elaborate changes in the body but still retaining the same concept and shape gave rise to the Porsche 911/913. Porsche 911 with a 6 cylinder boxer engine was associated with the liquid cooling system that was meant to track sound and emission control. The engine capacity also increased from 2ltr to 3.6 ltr. In 1996, Porsche 996 model was unveiled signifying a major milestone particularly considering the fact that several, racing and sports cars with centrally mounted engines had been manufactured. Porsche has been known to have a long-term relationship with VW that dates back to the 1960’s. In 1969, VW Porsche 914 was a joint 4 cylinder engine automobile jointly developed by both companies. Dutchman Harm Lagaay designed Porsche 924 after a successful joint partnership with VW that saw a high number of sales. In 1977, a new Porsche engine was designed to give rise to Porsche 928 model which was a GT Sportscar designed for long-distance travel with superior performance and suspension capabilities. This model was also awarded car of the year in 1978; however, production of the 928 model was stopped in 1982. During this time, a number of racing competition models such as 911, 928 and 924 launched into the market. In 1983, Porsche emerged top at 24 Hour Race at Le Mars. However, at this time, the company faced a management crisis as the focus was placed on the financial suitability of projects at the expense of technology and innovation. In 1982, Peter Schutz took over as the head of management and came up with a new approach that placed more emphasis on producing technology innovative models. This led to the birth of Porsche 959 which was a technology complaint and had impeccable features for off-road racing. As the 911/964 model was being unveiled, the company was once again in crisis but things brightened up in 1993 with Porsche 911/993 designed by Tony Hatter, an Englishman supervised by Harm Lagaay. Porsche 911/996 was introduced in 1997 followed by the popular Porsche Cayenne SUV model that was meant to compete with Range Rover. This model was developed in conjunction with Volkswagen. In 2004, the successor of 911/996, 911/997 was unveiled with a sleek appearance coupled with superior features. Porsche is a highly successful company with a wide variety of models. Servicing Porsche since 1999, we are a Porsche Mechanic and Porsche Specialist, located in Perth, Western Australia.